Ok you guys, get ready for cuteness! these whimsical wool felt balls from Handbehg Felts. Garland, Wreaths, Scarfs and more. They are sure to brighten up your holidays! Available Wholesale at United Notions. Click here to Order. 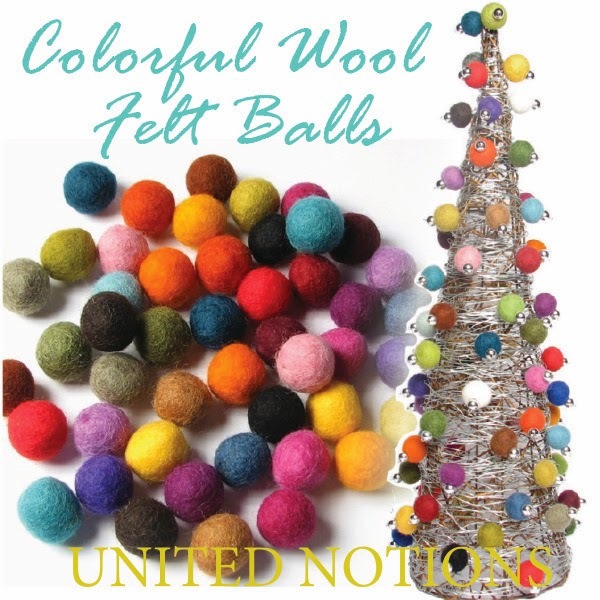 What will you make with these cheerful felt balls? I saw a felt ball circular rug online which was super cool. Not sure I have the patience to make one though. Maybe a placemat size. I love them as scarf fringe.